BATON ROUGE, La. 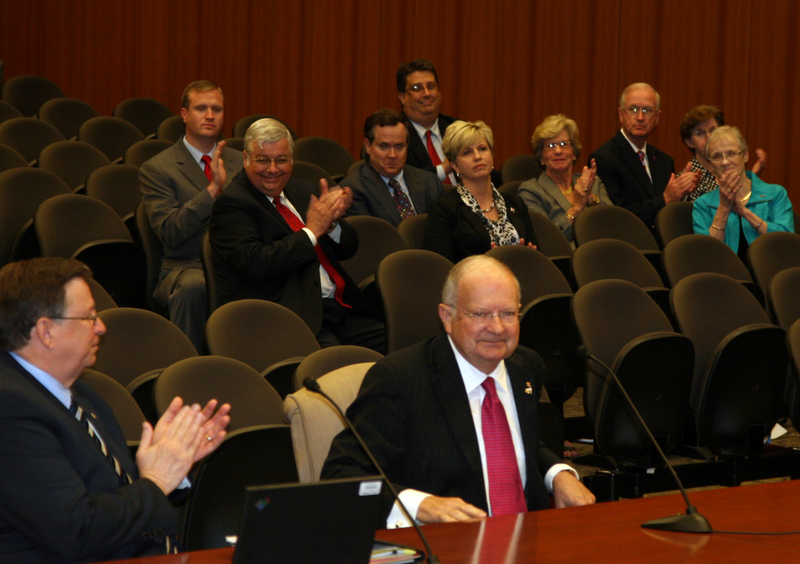 – The Board of Supervisors for the University of Louisiana System today named Daniel Reneau President Emeritus of Louisiana Tech University. 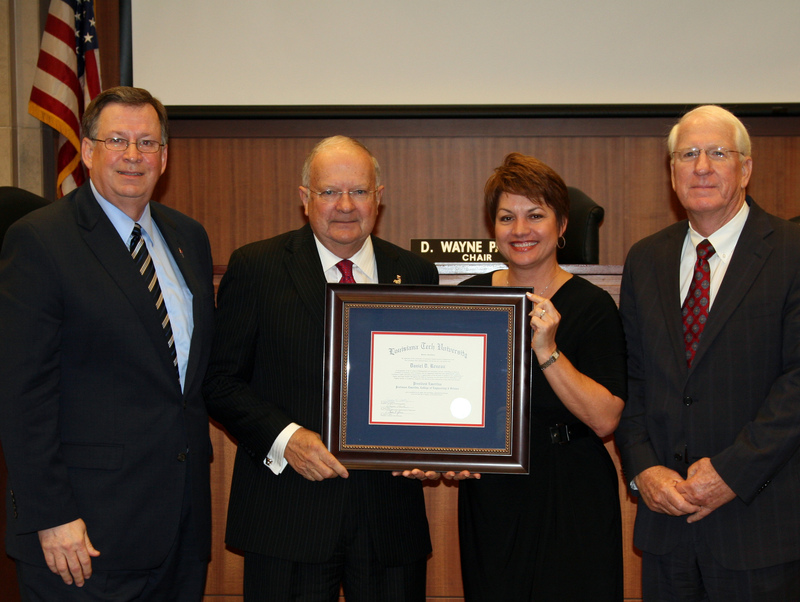 Reneau retired from Louisiana Tech in June after serving 46 years, including 26 years as President. An emeritus position is one of the highest academic honors awarded to professors and administrators – usually on the occasion of their retirement. While campus presidents can bestow an emeritus title to a university employee, a president emeritus title must be recommended by the University of Louisiana System President and approved by the Board. “The impacts that Dr. Reneau has had on both Louisiana Tech University and the higher education community in Louisiana over the past 26 years are simply remarkable. Under his leadership, he has transformed Louisiana Tech into a top tier academic and research institution, and a university that the entire State of Louisiana can be proud of. 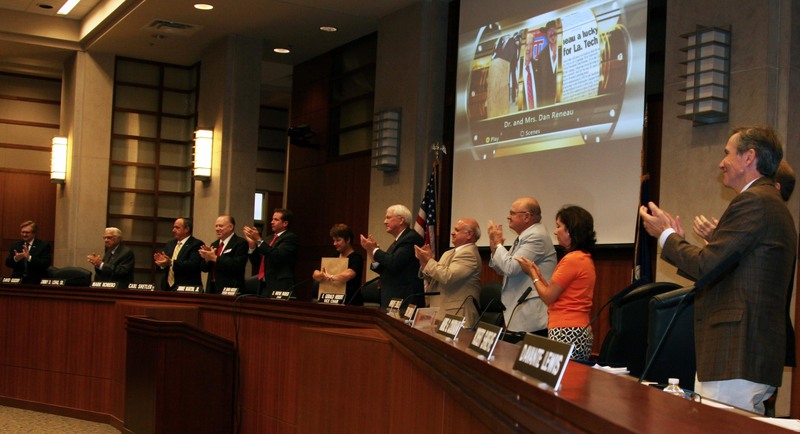 What he has achieved in his career as an education leader, a statesman, and a mentor to university administrators throughout our state has earned him a place among the most successful and respected figures in the history of Louisiana higher education. I can think of no one who is more deserving of the emeritus honor,” said current Louisiana Tech University President Les Guice. “There are few easy decisions for a system president to make, but when Dr. Guice approached me about awarding emeritus status to Dr. Reneau, there was no hesitation. This is not just a chance to honor his many years of service, but an opportunity to reward his visionary leadership. So it is my distinct honor to formally recommend Dr. Daniel Reneau for this prestigious, and very much deserved, designation,” said UL System President Sandra Woodley. Originally from Woodville, Miss., Reneau earned a bachelor’s degree in chemical engineering at Louisiana Tech in 1963 and a master’s degree in chemical engineering in 1964. After earning a doctorate in chemical engineering from Clemson University in 1966, he returned to his alma mater to teach in 1967 as an assistant professor of chemical engineering. In 1972, Reneau established Louisiana Tech’s Department of Biomedical Engineering – one of the first of its kind in the United States and only the fifth undergraduate program to become accredited in the nation. He demanded that same level of excellence while serving as Vice President for Academic Affairs from 1980 until 1987, achieving accreditation for every major academic program. In February 1987, Reneau became the university’s 13th president. Among his many accomplishments over the next 26 years were implementing selective admissions in 1992, building state-of-the-art academic and research facilities, growing doctoral programs, and creating a research and technology park. Now a nationally respected research university, Louisiana Tech ranks high on numerous lists, among them a distinction as North Louisiana’s only Tier One National University. The university is among the Top 30 in the southeastern U.S. for starting median pay for graduates (PayScale.com‘s 2012-2013 College Salary Report.). It led the state and made the national ranking of Newsweek and The Daily Beast’s list of Top 25 Most Affordable Colleges in the U.S., and boasts the second highest graduation rate in the state. ABOUT LOUISIANA TECH: Founded in 1894, Louisiana Tech University is the only Carnegie Doctoral-High Research University and SREB Four-Year 2 Research University in north Louisiana. The university offers a wide variety of bachelor’s, master’s and doctoral-level programs including well-known biomedical engineering and nanotechnology programs. With over 11,000 students nestled in the piney hills of north Louisiana, Tech has a reputation of offering a private-college atmosphere at a public university. ABOUT THE UL SYSTEM: The largest higher education system in Louisiana, the UL system enrolls over 92,000 students at Grambling State University, Louisiana Tech University, McNeese State University, Nicholls State University, Northwestern State University, Southeastern Louisiana University, the University of Louisiana at Lafayette, the University of Louisiana at Monroe, and the University of New Orleans.